The American alligator covered with lime-green moss is sunning itself on a log floating in Elm Lake. The lake is located within BRAZOS BEND STATE PARK (http://www.tpwd.state.tx.us/park/brazos/brazos.htm) about one hour south of Houston, Texas. The park includes Brazos River bottomlands, beautiful live-oaks draped by wild grape vines and Spanish moss, oxbow lakes and marsh. 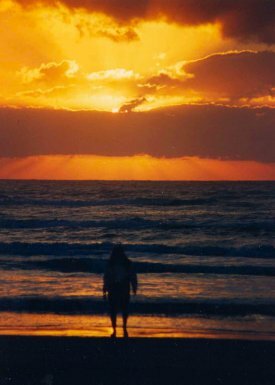 One of my photographs is featured on the web site of the Children's Memorial, which is located at the Edgartown Lighthouse on Martha's Vineyard: http://www.childrenslighthousememorial.org/pages/travel.html. 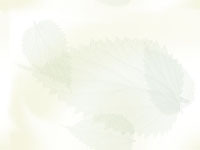 Information about myself and other contributors is located at: http://www.childrenslighthousememorial.org/pages/sponsors.html. 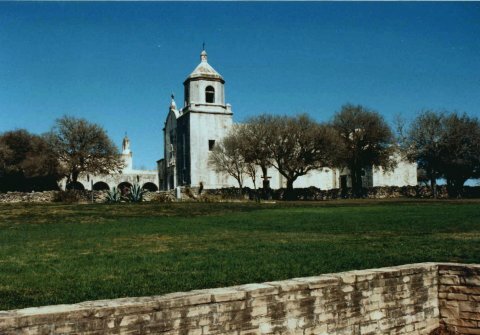 The Mission Espiritu Santo de Zuniga is shown from its location within GOLIAD STATE PARK (http://www.tpwd.state.tx.us/park/goliad/goliad.htm) in Goliad, Texas. The mission and park are located about 3 hours south of Houston on Route 59. 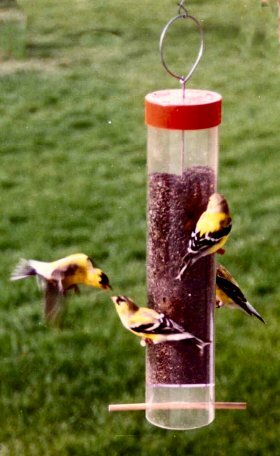 Finches are shown playing and eating from a bird feeder in west-central Illinois. For information about the NATIONAL FINCH AND SOFT-BILL SOCIETY, go to: http://www.nfss.org/. Sunset at the ATTWATER PRAIRIE CHICKEN NATIONAL WILDLIFE REFUGE (http://southwest.fws.gov/refuges/texas/apc.html), located just west of Houston, Texas and seven miles northeast of Eagle Lake (off of RM 3013). 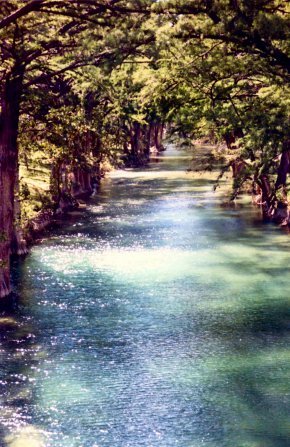 The Guadalupe River near KERRVILLE-SCHREINER STATE PARK (http://www.tpwd.state.tx.us/park/kerrvill/), located northwest of San Antonio, Texas, is shown. 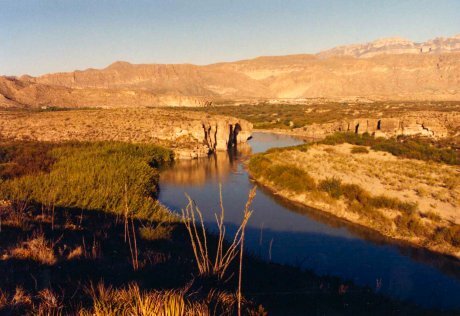 The Rio Grande River is shown as it runs along the southern border of BIG BEND NATIONAL PARK (http://www.nps.gov/bibe/riversb.htm) in southwest Texas and along the northern border of the country of Mexico. 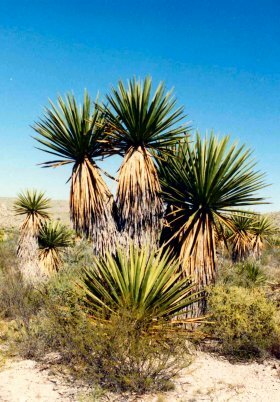 Giant daggers (Yucca carnerosana, of the lily family are shown. While eating Thanksgiving dinner (of peanut peanut sandwiches), I took this photograph at Dagger Flat in BIG BEND NATIONAL PARK (http://www.big.bend.national-park.com/) in southwest Texas. 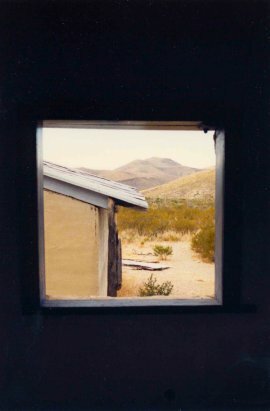 The Homer Wilson ranch, as seen from inside one of the building, is shown in Blue Creek Canyon within BIG BEND NATIONAL PARK (http://www.desertusa.com/big/) in southwest Texas. A series of 'chimney-like' rock formations is seen on the Lost Mine Trail within BIG BEND NATIONAL PARK (http://bigbend.areaparks.com/) in southwest Texas. 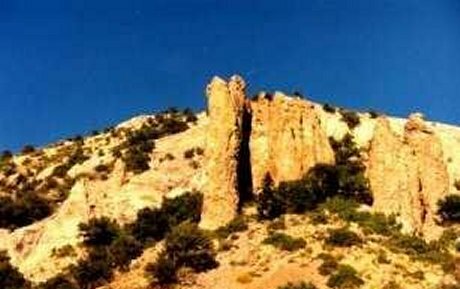 Beginning at Panther Pass on the Basin Road, this trail starts at 5,600 feet elevation and leads upward along the northern slope of Casa Grande to a promontory high on the ridge separating Pine and Juniper Canyons. A (two-picture) landscape is shown from PALO DURO CANYON STATE PARK (http://www.tpwd.state.tx.us/park/paloduro/), which is located in the panhandle of Texas, just southeast of Amarillo, Texas. 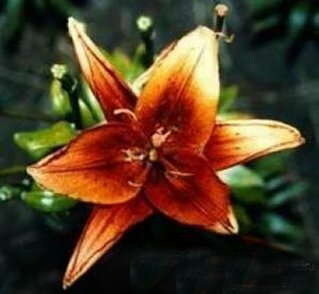 An orange funnel-shaped day lily (Hemerocallis fulva) growing is shown growing in a garden. Each flower lasts only one day. Every part of the plant is mild and edible, with the flower buds tasting like green beans when cooked and served with butter. Three butterflies are shown flying among the flowers at COLORADO BEND STATE PARK (http://www.tpwd.state.tx.us/park/colorado/colorado.htm) outside of Bend, Texas, located about halfway between Fort Worth and San Antonio and west of Interstate 35. 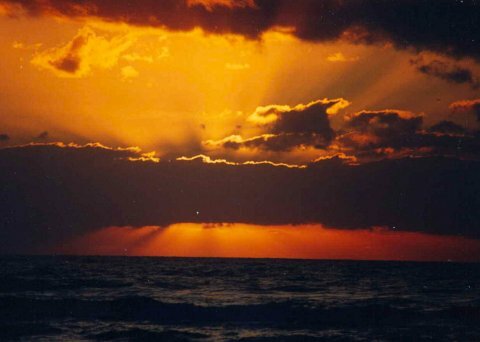 Sunrise and sunset are shown at MUSTANG ISLAND STATE PARK (http://www.tpwd.state.tx.us/park/mustang/mustang.htm) located off the coast of Texas, just west of Corpus Christi, Texas and just north of Padre Island National Seashore. 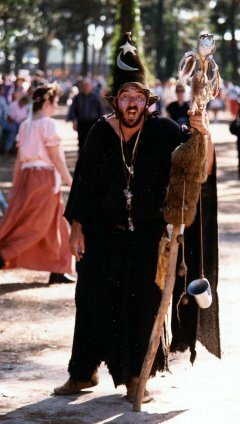 A character acting in the Texas Renaissance Festival (http://www.texrenfest.com/) is shown as the event recreates a 16th century English village. 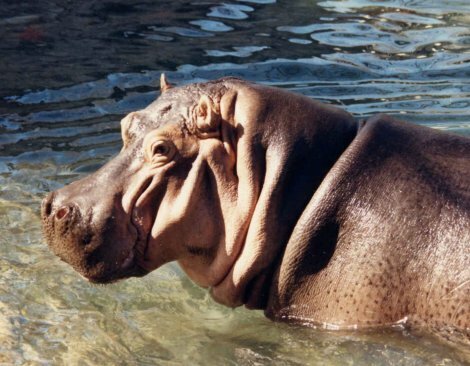 A hippopotamus, a large, thick-skinned semiaquatic African manmmal from the Family Hippopotamidae, and Genus species Hippopotamus amphibius, is shown at the SAN ANTONIO ZOO (http://www.sazoo-aq.org/00openpages/00index.html) in west-central Texas. 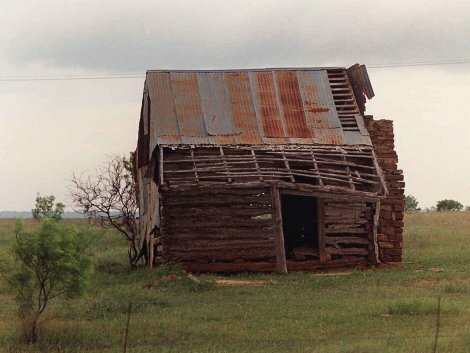 An old, rusty-roofed barn within FORT RICHARDSON STATE PARK (http://www.tpwd.state.tx.us/park/fortrich/) is shown; where the park is located northwest of the city of Fort Worth in Jack County. 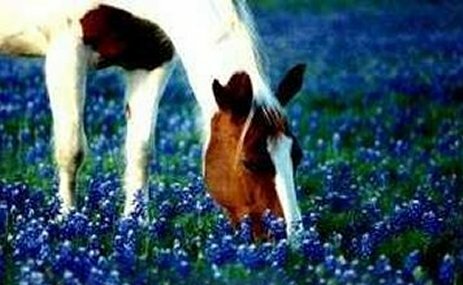 A horse is shown standing in a field of tall, dense Texas bluebonnets south of Brenham, Texas. The bluebonnet is the official state flower of Texas. The rugged, scenic countryside is called THE HILL COUNTRY (http://www.texashillcountry.com/), located in the central part of Texas. 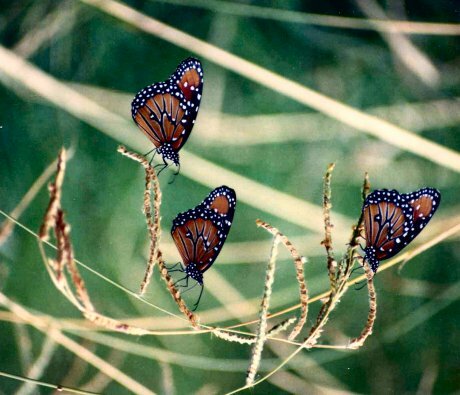 During each spring the landscape is a blanket of bluebonnets, orange-pink Indian paintbrushes, red-edged Indian blankets, purple verbenas, blue horsemints, yellow buttercups, lavender winecups, yellow daisies. 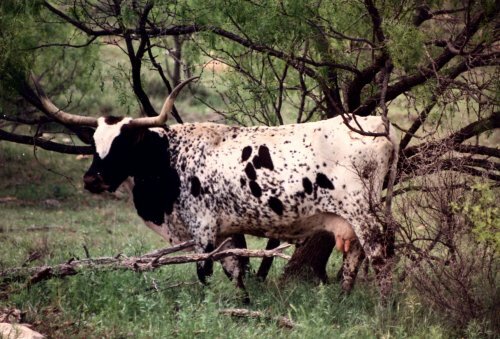 A longhorn, part of the official Texas longhorn herd, is shown at the FORT GRIFFIN STATE PARK AND HISTORIC SITE (http://www.tpwd.state.tx.us/park/fortgrif/) in Texas. 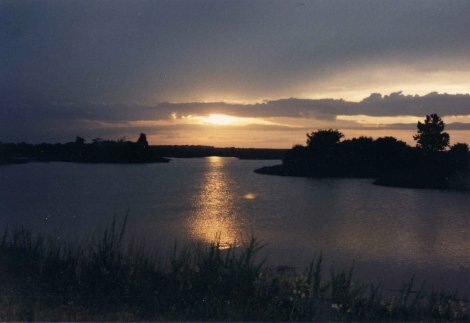 The park is located north of Abilene, Texas near U.S. Highway 283. 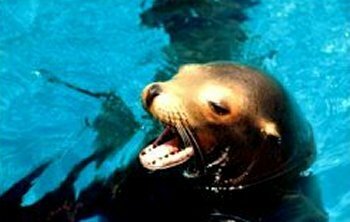 A seal is shown at the SAN ANTONIO ZOO (http://www.sazoo-aq.org/00openpages/00index.html) in Texas. It is a sanctuary for various endangered species like the whooping crane, snow leopard, and white rhino. The zoo is a natural habitat of rocky cliffs and moats while being shaded by towering oak, pecan, and cypress trees. 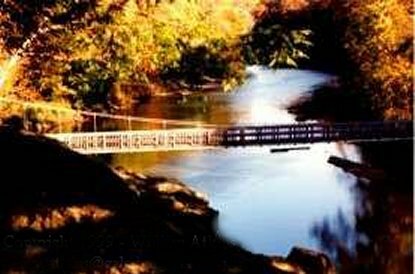 A suspension bridge is shown spanning across Sugar Creek within TURKEY RUN STATE PARK (http://www.turkeyrunstatepark.com/). Indiana's historic Parke County is home to the Covered Bridge Festival where people enjoy thirty-three covered bridges surrounding the town of Rockville. 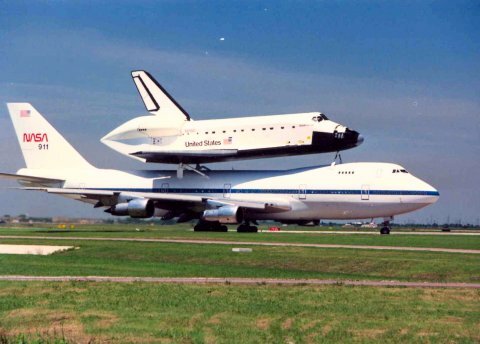 The NASA SPACE SHUTTLE ENDEAVOUR is shown piggybacked on top a specially-fitted Boeing 747 at the Ellington Air Field in Clear Lake City, Texas, just outside of the JOHNSON SPACE CENTER (http://www.jsc.nasa.gov/) in Houston. After completing its mission with a landing at Edwards Air Force Base in California, the shuttle is laying over on its way to the Kennedy Space Center in Florida.